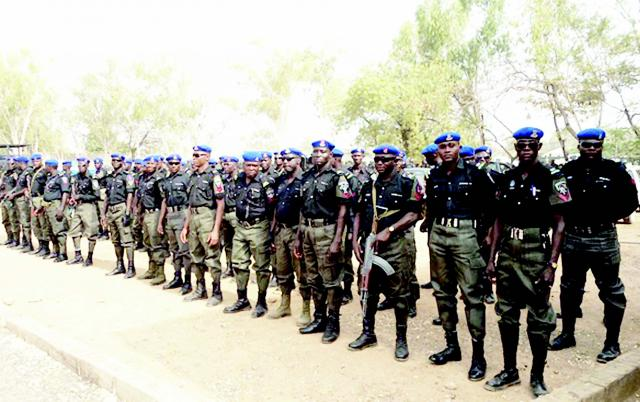 The Nigeria Police on Thursday announced that the recruitment of 6,000 policemen into the force begins on Monday May 7. This disclosure was made in a statement signed by Head, Press and Public Relations, Police Service Commission, PSC, Ikechukwu Ani. It is understood that at least 133,324 candidates have been shortlisted to fill the 6,000 constable positions at the Nigeria police force. Ani disclosed that Kaduna state has the highest number of applicants with 6,962 while Lagos has the lowest with 1,013. Katsina comes second with 6,676 applications, followed by Benue and Niger with 6474 and 6409 respectively. The statement read in part: “The Police Service Commission has deployed its Staff to the 36 States of the Federation and the FCT with Sir Dr. Mike Okiro, Chairman of the Commission as the National Coordinator. “The Commission warn its staff against any form of compromise during the exercise on Monday. “Commission will sanction any staff found to be compromising this national assignment,” while adding that “all staff must resist all forms of undue influences as their activities would be closely monitored. “The applicants are to conduct themselves properly, anybody that has nothing to do with the exercise should not be found within the vicinity of the screening. The recruitment, according to the PSC, is for Constables, with “Kaduna having the highest number of applicants shortlisted with 6962, second is Katsina with 6676, followed by Benue and Niger with 6474 and 6409 respectively. The police had announced on February 7, that it had begun recruitment of qualified Nigerians for enlistment as constables (popularly called recruits). Meanwhile, for those who missed out, click this link and apply as the Nigerian Prisons Service has commenced recruitment of Nigerians for full time appointments to fill existing vacancies. 0 Response to "133,324 Job Seekers Apply For 6,000 Police Slots; PSC Reveals Screening Date"